In some conditions, we feel that uncomfortable skin sensation and the need to touch the spot and maybe even scratch it once or twice. But every now and then, we’re never sure about the causes. It’s maybe not a dangerous disease, but it might also be a symptom of a disease. And here are 4 common reasons on what causes of itchy skin. This is the most common and lightestcauses of itchy skin. There won’t be any blisters or red bumps on our skin, but the sensation is there. The factors are usually from outside the body, environmental causes such as too hot or cold weather, low air humidity, long term use of air conditioning or central heating, washing or bathing too much, especially using low acid soap. There are so many different types of things that can cause allergy. It can be from the things outside our body or inside. Substances like wool, leather, animal fur, chemicals, cosmetics, and soap are some outside factors that can trigger the allergic reaction or irritation. Specific foods can also cause allergic reaction for certain people, like allergic to seafood. 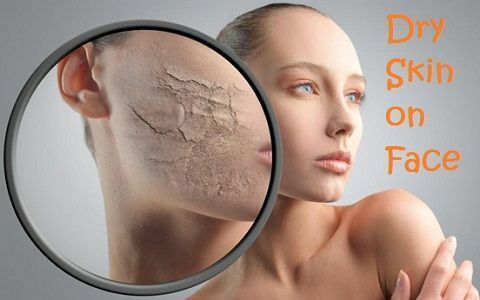 Drug can also be one of the causes of itchy skin. Antibiotics, antifungal drugs or narcotic pain medications for some people can cause allergic reactions; itchy skin and rashes. Spotting a different color, bumps, blisters or unusual shapes on your skin? It might be the appearance of skin rashes. It’s a symptom of skin conditions such as eczema (dermatitis), psoriasis, scabies, lice, chickenpox and hives. The itchiness and appearance you feel might vary in those cases. That’s why you should be able to understand the sensation. Like for a hives, you will find a red small ring-shaped or randomly-shaped bumps, itchy, but it’s painful when touched. When the itchiness or burn sensation on the skin gets worse, maybe it’s time to not take it lightly. Because itchy skin can be a symptom of severe diseases like multiple sclerosis, diabetes mellitus, pinched nerves and shingles (herpes zoster), malabsorption of wheat (celiac disease), kidney failure, iron deficiency anemia, thyroid problems and cancers, including leukemia and lymphoma. But don’t need to be panic. Go see a dermatologist, and he’ll let you know what causes your itchy skin. So, why I have itchy skin? Knowing the reasons on what causes of itchy skins can be helpful to perform a first aid medication and prevent it from getting worse. Being able to diagnose our self is a good thing. But that doesn’t mean we get to decide the medication, because we might be wrong, unless we’re a doctor. So, visit medical experts first before things get worse.